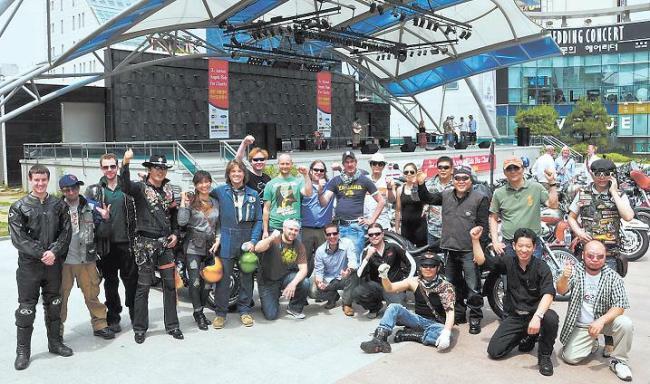 A charity motorbike ride is to be held on Saturday to raise cash for underprivileged children. The Daejeon Riders and events magazine Daejeon Access have organized the charity Angel Ride for the past three years to raise cash for local children’s centers. The fourth edition of the event will run from 12-8 p.m. at Seodaejeon Park and will include live music, international food and prizes as well as the motorbike ride. Bands Buzzard Luck, Like a Fox, Hajimama, The Billy Pilgrim Show, Jordan Stewart, The Dirty 30’s Dara O’Siochain and others will play on the outdoor stage throughout the afternoon. Food will be supplied in the form of burgers from House Grill, Mexican food from Cantina and Thai cuisine from Khaosan Road restaurant. Competitions will be held with prizes including vouchers for restaurants and bars in Daejeon and Seoul. In addition to the entertainment, motorcyclists are invited to join the Daejeon Riders to cruise south of the town through the countryside, climbing winding mountain roads before returning to Daejeon to join the charity party. The event is being sponsored by Daejeon International Community Center, Yellow Taxi, Pinoy Mart, Billy Pilgrim and Taco K.
Local artists are also invited to bring their works to the event and sell them to raise more charity cash. “All proceeds raised throughout the day from food, games, the art sale, and prize raffles will go directly to charity,” said Joel Rasmussen, who organized the event along with Todd Seffrood and Earl Noble. Organizers are hoping to attract a big enough turnout to have the total amount raised over the history of the event pass the 10 million won ($8,500) mark. The money raised this year will benefit the Nabi Project established by East Daejeon District Office of Education to help underprivileged youth in the area.